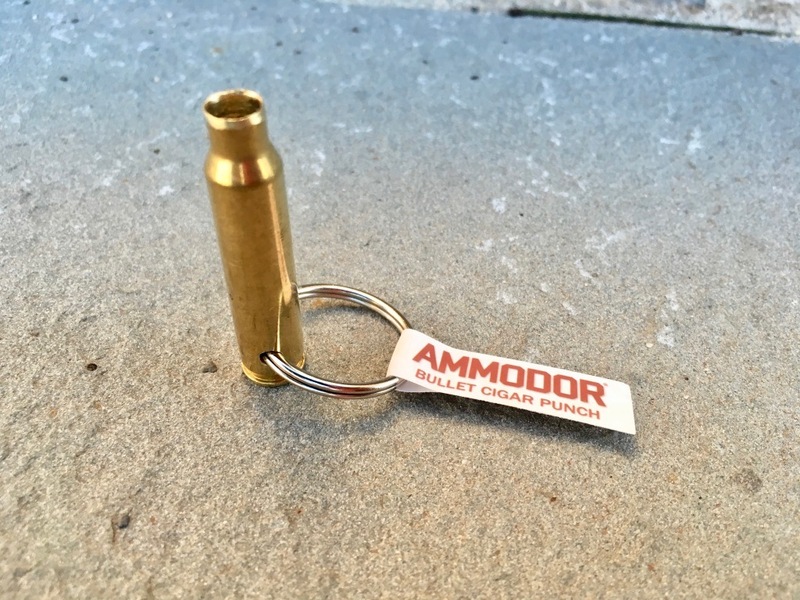 We’re good ole’ boys here at Ammodors. When we’re not sitting around enjoying a cigar and a beer, we like to shoot guns! 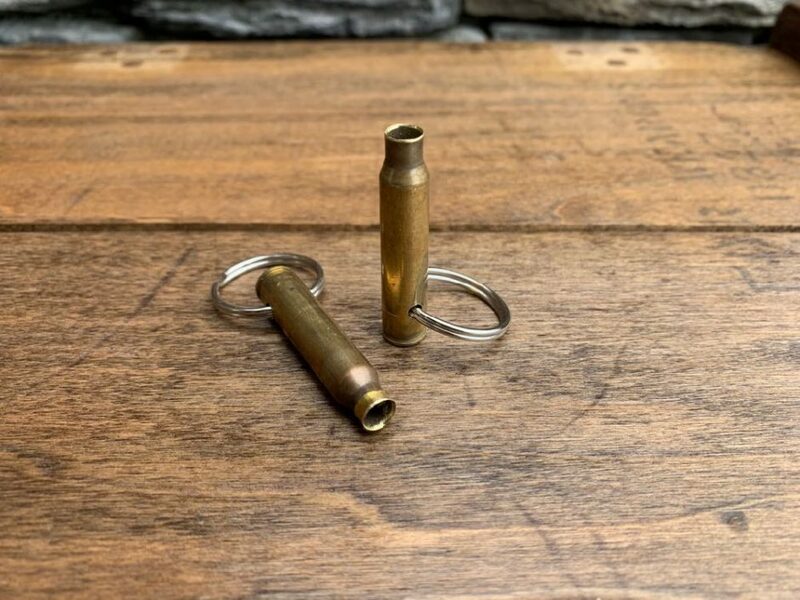 We couldn’t think of a better way to repurpose our spent ammo rounds then by turning them into badass handmade cigar punches. They’re always a conversation piece and function pretty darn well too. 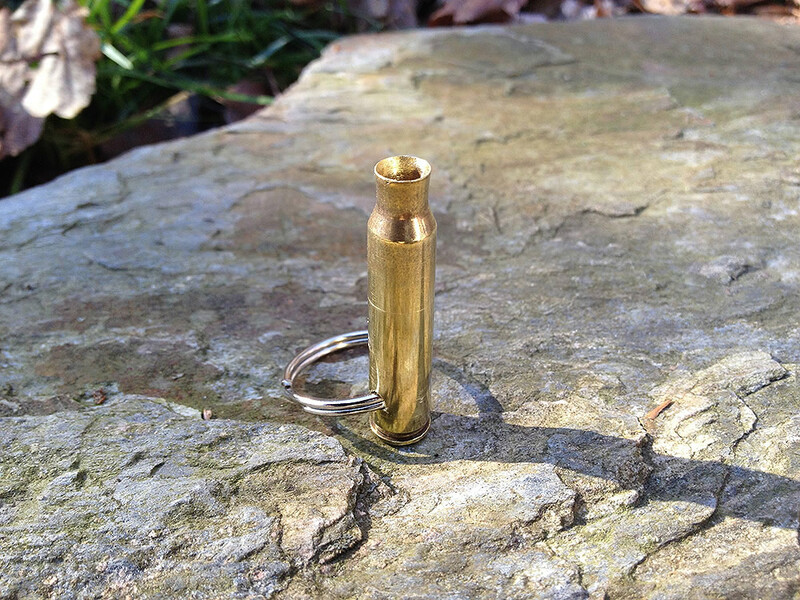 Handcrafted from a once fired 5.56 × 45mm NATO or .223 Remington empty shell case and produces a 7mm size hole. Each empty shell case is thoroughly cleaned, polished to a shine and then lightly sharpened at the neck to act as a cigar punch. 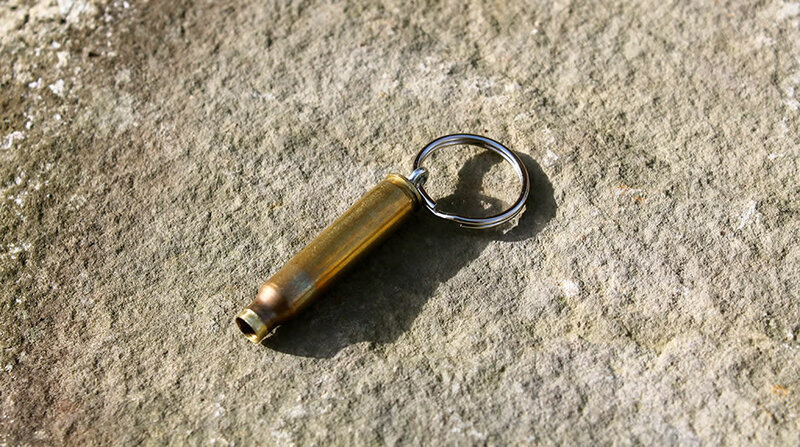 We then drill a small hole towards the back and insert a 1″ key ring – so you can have your punch with you, no matter where you go. 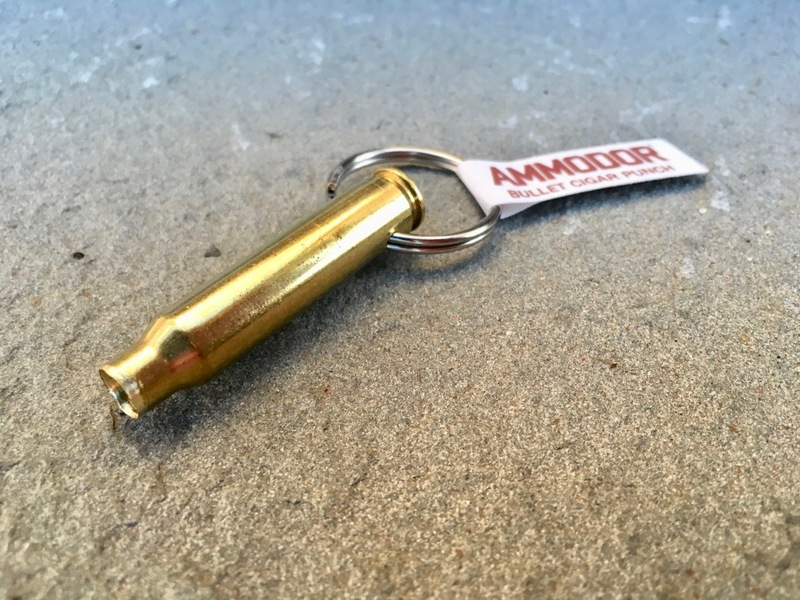 Each is 100% made in the USA! “Punch” style cigar cutter offer a few perks over the equally popular v-cut/wedge cutters and straight/guillotine cutters. Most notable is that they are simple to use and there great for beginners and experts alike – it’s nearly impossible to screw up! You simply press the circular blade into the head of a cigar, turn gently, and voila! A small amount of tobacco from the cap is removed. This leaves much of the cap intact and feels smooth on the lips. The small hole not only concentrates smoke to the palate, but also exposes less of the binder and filler tobacco inside, thus reducing the chances of loose tobacco getting into your mouth. 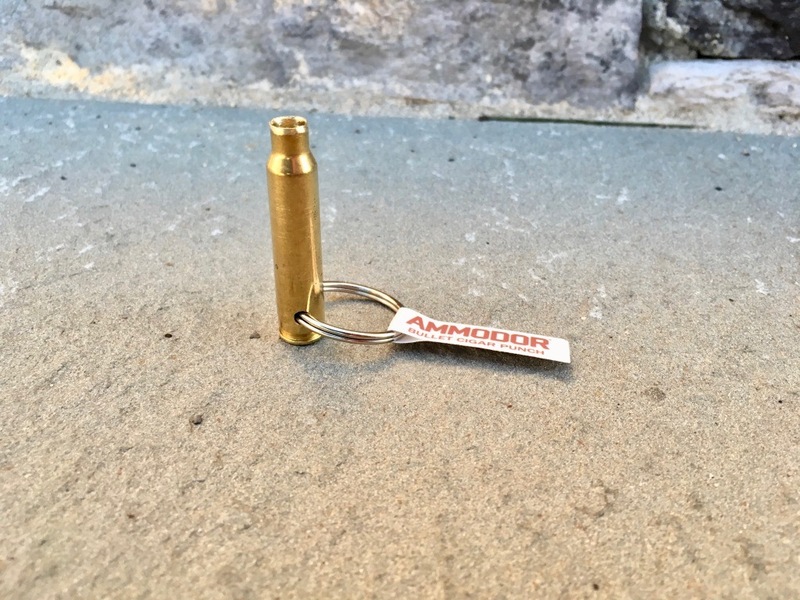 Also available in .270, .45, 9mm sizes with varying punch hole sizes.